Need help driving more traffic to your website? We have Layne and Sondra Johnson on the show today, and getting more traffic to their website is one of the things we will learn in this episode. We’ll be sharing insights on how they can take their fine art business to the next level! Sondra and Layne are a power couple, who’s been working expanding their business both offline and online. Layne the first part of his career as a freelance illustrator, then 15 years as a children’s book artist with over 20+ published books. Last year, he has officially switched to fine art and started creating a whole new body of work. He is primarily responsible for creating the content and the products. Sondra, on the other hand, has a full-time corporate job with a company she’s served for 20 years. She was the one who laid out the foundations for their site, managing and learning how to handle the marketing and sales of fine art online. With the fine art business evolving like many other industries, the Johnsons are now looking into effective online marketing campaigns to grow their audience, but with so many platform options, how do you know which one is the right one? Join us as we discuss options of how artists can make money online, finding their effective social media platform and opt ins to get more people interested in the product. Are you a struggling artist hoping to get the right people to find your creations? Tune in and this just might help you take your idea to the next level. Enjoy the podcast; we hope it inspires you to explore what’s possible for your family! Click here to leave us an iTunes review and subscribe to the show! We may read yours on the air! We would love to help you write the success story for your online business. At the end of today’s show, head over to flippedlifestyle.com/flipyourlife where you can learn more about building and growing a successful online business with the help of our Flip Your Life community. 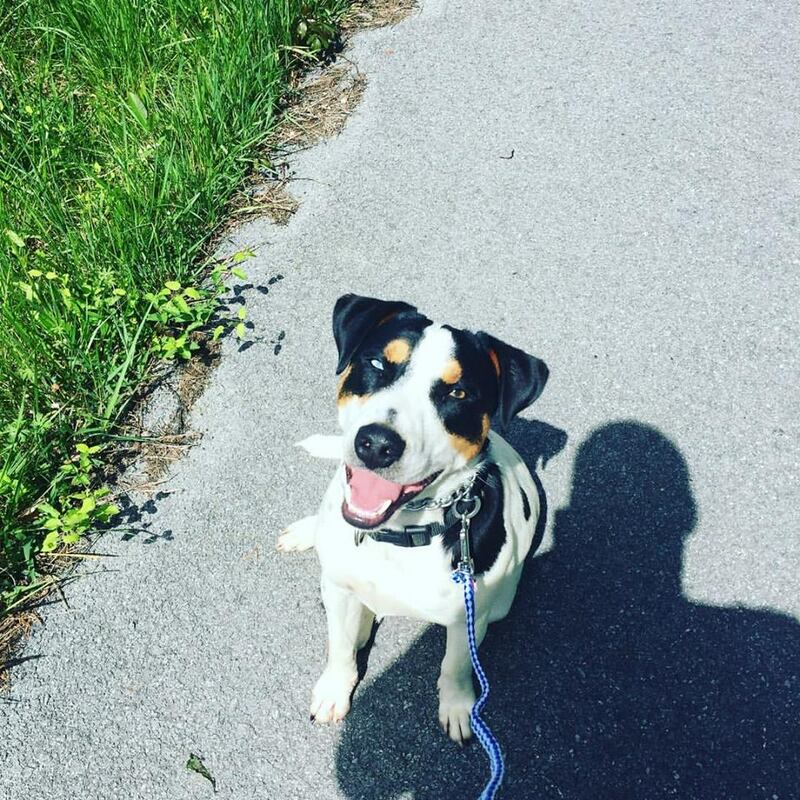 Our Can’t Miss Moment for this week is a Wednesday afternoon walk with the kids and the dogs. The other day, it was a Wednesday, it was around 11 o’clock and I was kind of getting burned out, and I was trying to figure some stuff out, the kids were here. I was like, “You know what? I’m not going to work the rest of the day.” I just shut everything down, got the kids, got the dogs, threw them in the truck — I didn’t throw them in the truck, like the back of the pickup for anything. I actually got in the truck. 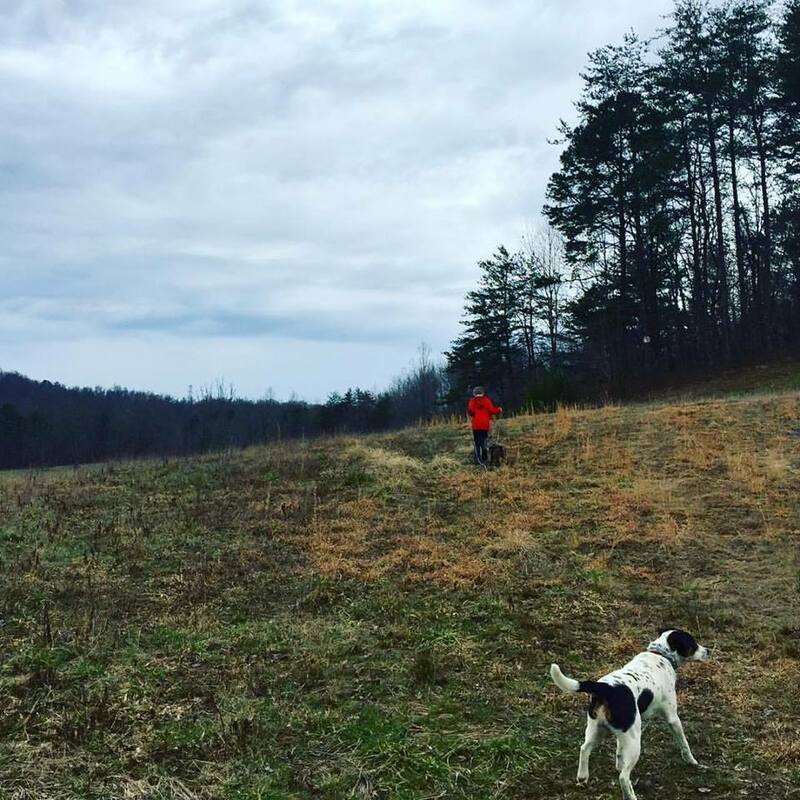 We drove up to this little hunting club that we are a member of, and we drove back on the trails and we got the dogs out and we went for just a couple hour walk, let them run, let them play. We explored and we just had an amazing time out in the woods. As we were walking, and I was taking pictures of the kids, I just looked up at the sky, the sun was out. I was like, “Man, there is no way that I would have been out doing this if I had a normal 9-to-5 job.” It just made me really appreciate the time freedom that we have, to be able to not only spend so much time with the kids, but to choose when we spend time with the kids. Jocelyn: Hey y’all! 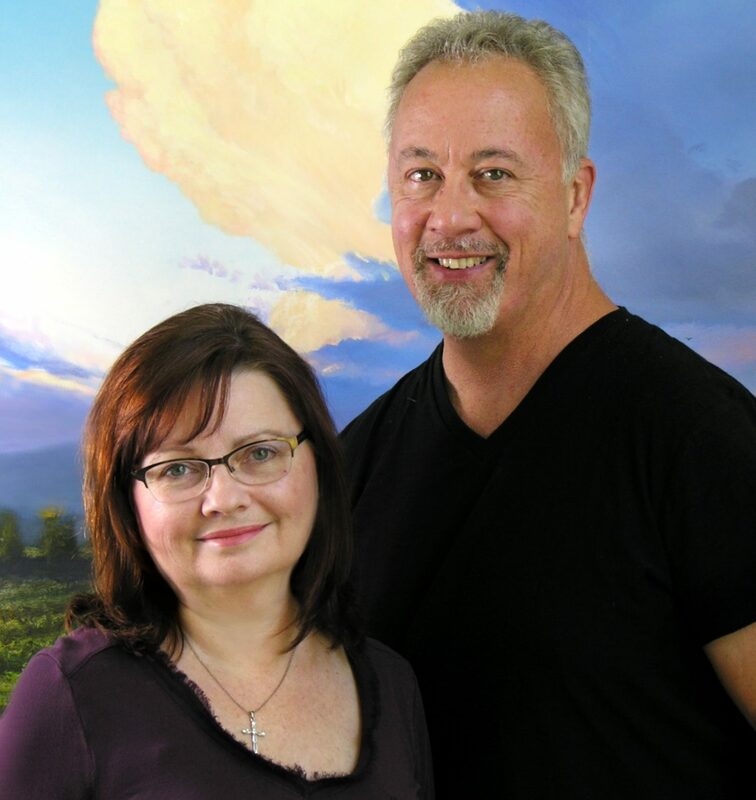 On today’s podcast, we help Layne and Sondra take their fine art business to the next level. We’re a real family who figured out how to make our entire living online. And now, we help other families do the same. Are you ready to flip your life? Alright. Let’s get started! What’s going on, everybody? Welcome back to the Flipped Lifestyle podcast. We are super excited to be back with you again. Another Tuesday, another Flip Your Life community member, another guest that we are going to help take their business to the next level. Really excited about our guest today. You may have heard in the intro that we said two people. But we are just going to be talking to one member of this awesome couple today who work together in their business, and our guest is Sondra Johnson. Hey, Sondra, how are you doing? Sondra: Doing well. I’m really honored to be here today. Shane: We’ve had couples on before, guests that are kind of like working together. You are the marketing part of your specific power couple and the other person in your couple, Layne, is creating content basically. So it’s really interesting dynamic here. Jocelyn: Yeah, we are really excited to work with the husband and wife team. We of course we are a husband-and-wife team, so it’s fun to talk to someone else who is in that same situation. Let’s go ahead and talk about you guys, and tell us a little bit about your background, yourself, and your online business. Sondra: Well, Layne is, as I mentioned, the person that’s creating all the content as far as the products that we create. He is an artist. He’s been an artist his entire life. He spent the first part of his career as a freelance illustrator, graphic designer, did that for a number of years. Then he spent about 15 years actually illustrating children’s books and creating art for more than… too many children’s books over the years, spent a lot of time actually doing school visits. Jocelyn, I’m sure you’ve had authors and artists come to the school when you were actively doing your librarian thing. Sondra: He did a lot of that, he did a lot of that. All of his books are primarily picture books. He did that for a number of years, then he decided you really wanted to get back into fine arts. We made that switch a few years ago about the same time that we made that switch, we also left Houston, where we had both lived all our lives and decided we were ready to live in the country. We’ve been up here for less than a few years. At that point we had to really look at what his business model was going to be because selling fine art is very different. Previously, he was really a freelancer, now he really has a business. I had to wrap my head around what that really meant, that it’s really our business, not just his business anymore, and really get up to speed on all of that. I’ve always had a corporate job. I’ve worked for my company for 20 years. I’m full-time employed, and do this as kind of my side hustle as I’m helping him get all this stuff up to speed. I really spent the last 12 or 18 months laying all the foundations, really learning how to market and sell fine art, which is a very different than what he had done before, also the whole online thing which is obviously very different as well. Shane: Sure, it’s like so many things. Jocelyn: Let’s talk a little bit about what you guys actually sell. Tell the audience a little bit about that. Shane: What is fine art? What does that even mean? Shane: Not a lot of fine art here. We don’t get a lot of fine art galleries down here in our little town in the mountains of Southeast Kentucky. What is that exactly? Sondra: I guess you would distinguish fine art from commercial art as fine art is really artist-driven art. He is a painter; he paints landscapes primarily. He also does portraits as well, but it is really art that is driven by the artist. There is also a wide range even within the fine art world. Some of it falls more on that pop side of art. His is really much more traditional, but it’s really bad as opposed to commercial kind of art where it is for advertising purposes or generally advertising editorial purposes. Shane: Can it be mass-produced? Are we talking only original? Sondra: That is a really interesting question because that has really kind of changed over the years as well. It is predominantly originals; however, you can do fine art reproductions. Generally, in his case, that means that they’re being reproduced, but they are being reproduced on a canvas to look as close to an original as possible even though it is not an original. Shane: This is like, you go to Garden Ridge– it’s not called Garden Ridge anymore. What is it called? At Home? Shane: Like those big, giant things, but they’ve got this huge art section and maybe they’ve only got one copy of that canvas landscape of the horses in barns. But it looks really intense, like you said, it almost looks like an original. There is not many of them. They are mass-producing it, but they’re like 50, 60, 100 bucks, whatever. So does the fine artist do that, or is that more commercial? Commercial art is more like, “I’m making an ad and I need artwork done for it, a logo and stuff like that,” correct? Sondra: Even what you were saying originally was a painting created by an artist to begin with before it was mass-produced. You can have everything on the mass-produced side on the print side, everything from, like I said, fine art on canvas, which is you can have everything from open edition, to which means there is unlimited reproductions to limited editions, I’m sure you know where the artist is only going to produce 200 of them, and then that is it. They are no longer available. So, there’s all kinds of ranges in that area as well. Shane: Yeah, there is a lot of channels to make money with fine art. It’s not just you have find some fancy person that is basically wanting this hanging in their house. It is, “No, I can do a limited run of 200, I can do a mass-produced thing, or I can create an original work of art for a lot money, but this person will buy from you,” basically. Sondra: Yes, there is a lot of revenue streams when it comes to fine art. There is a lot of different business models when it comes to fine art. Shane: It is always fascinating to me because people a lot of times will come into the community, or come to me and Jocelyn for advice. There are a lot of creative and artistic people out there, and they’re like, “Well I mean, I don’t even know how I could possibly make money with drawing things, like painting things,” or some people come to us, too, and they are just like, “There is just not a lot of ideas or ways to make money.” But really, with anything you do, when you go out there, somebody will pay you for it. Just have to figure out how the rules work and how the systems work and how the industry works, and I am sure that their people right now listening that are artists, that are like “the starving artists,” like, “How do I make money on this?” It is just fascinating that you guys have done that. Jocelyn: Just to kind of recap, what did you guys start selling online, and what are you currently doing? Shane: Like, are you just selling original prints online, or are you selling people to mass-produce stuff online? How does online business fall into the scope of what you are doing? Sondra: We are selling original art online, as well as we have a few that are available as prints. Shane: So, people come to your site… Do they commission the original art, or you already have it created and they just buy it from a gallery? Sondra: We have both options. Sondra: You can buy something that’s already created that was really Layne’s vision, or if you have something specific, that you want, you can also commission specific prints. Shane: Okay. I would assume that these are high-ticket items that the people are buying or higher-priced things. Sondra: Yeah, as compared to your typical online content, yes, it’s much higher priced. Shane: Yeah, you’re not being like, “Hey, 25 bucks, I’ll send you a painting,” basically. Sondra: Well, speaking about that, we just had our first actual sale online. Most of them have actually been offline, but we had our first actual sale. Our first sale was $200.00 as opposed to $29 things. Shane: This is very much perfect for online business because if you are a painter, and you paint, and you’re in a little small-town, like, where we are, there are chances of someone coming through and buying that are not as high. But if you got this painting, and you can show the entire world, then someone who wants that can find it, and they can give you their $200, and you can make more money off of it. Sondra: It’s a much longer sales cycle, though. Sondra: Obviously, with the price point. Jocelyn: Yeah, and I like this kind of business for online business because it’s like Shane was just saying, the scale is just crazy. Shane: Massive. You can find the buyers. That is the hardest part for an artist, is finding the buyers. Jocelyn: Yeah, if you don’t live in the city as an artist, then, I’d venture to say that it is a little bit harder to make those high-dollar sales if you live in the small towns. I love the Internet for this. Sondra: Well, and the interesting thing in the space is it has just been in the last — I think it was since 2013, when the revenue from offline versus online switched, and so there are now more sales be made online in fine arts than there is actually coming from galleries. Jocelyn: Yeah, that is really fascinating. I like to know about successes like that. That’s really cool. Before we get into your questions about how we can help you guys grow, let us talk about why you wanted to bring this business online. Sondra: Well, as we said, now that we live in the country to your point of a few minutes ago, it’s much harder to make those connections. But the fine art business is really changing. Before, you had to go through a gallery in order to sell a painting, it had to be in the gallery. That is who had the audience. That’s really changed with the internet over the last few years, so really, because of the big revelation that’s happening with the Internet, just like it’s happening with a lot of other businesses, it’s happening in publishing, it is happening in music industry, artists no longer need that middleman. It’s nice to have, but you no longer need that middleman at the gallery to actually sell your work. It is really important to us to be able to offer that and have that flexibility that people can buy directly from him, and don’t have to go through a gallery. The other pieces, we’re looking to have that flexibility, I, for instance, I’ve been in my corporate job for more than 20 years. I would really like to be able to do this full-time at some point but I have to have his business be able to sustain that. I worked at home most of my career, so we are used to working in the same room together. I’m sitting at his studio right now. My little cubbyhole and his studio is where I work. We are really comfortable working together, we work really well together, so I’d like to be able to do that full-time at some point. It gives us more flexibility for the future as well. Jocelyn: Before we move on, I just have one question like more of a personal question. Are there people out there in the art community that are against this movement? I mean, I’m sure that there are. Shane: I’d say the galleries are resisting it a little bit, like publishers are resisting with authors, like self-publishing. Did you feel that? Sondra: To a certain extent. He just, as of yesterday, has put up 11 paintings in a local gallery in Dallas, which we are really excited about, but at the same time that that happens, we have to take the prices off of his website for those specific paintings to point them back to the gallery. We do want to have a good relationship with these galleries, because that’s really important, they do have relationships with suppliers and their clientele. Shane: This is the same thing that happened in the music industry. There has to be a happy medium between the record labels and the independent artist, and control over songs. We’ve got a really good friend who is a really famous Christian artist, he has just went through this where he got all of his music back under his control from the label. Like you said, it is just this weird tug-of-war on who controlled what, who made money from what, who did this and who did that. There is resistance for him going more independent, and I think that is why people started their own labels back in the day. All industries move through this process at different times. It almost sounds like you feel art is hitting where art and publishing was couple years ago. Jocelyn: But I think they would do the smart thing though in still playing nicely with the galleries, and then also doing your own thing. I think that that is how the entire industry as far as art is concerned, I think that is going to evolve in that way. Shane: Alright, Sondra, that was some great information, fascinating industry. I’m sure there’s a lot of people out there who are in art or music or publishing. They’re just going to get out so much value from this conversation. Let’s jump straight into your questions. First, it’s amazing that you’ve got an online sale. You know what we say in the community all the time: you can make one, you can make 101, or 1001, or whatever. We’ve definitely proven concept, but what do you need help with today to take it to the next level, and replace that income that you need? Sondra: The biggest thing is to really drive traffic to his websites, obviously it’s getting more eyeballs on his work. We’ve been building the mailing list, growing slowly, but it’s actually starting to get a little bit of traction in the last couple months, but that’s really what I’m looking at this point, is how do I drive traffic to the website so that it can really build its mailing list? Shane: You know, I was sitting here thinking, when I was reading through your questions before we got on the air, last night, I needed to make some fish. I promise I’m going somewhere, and this is going to make total sense. Jocelyn: Let’s just say we don’t cook a lot, okay? Jocelyn: We don’t have a lot of fresh fish here in Kentucky. Shane: Exactly, so I was like, “Man, I got a cook these fish.” What did I do? I went straight to YouTube, I pulled up this sweet little old lady, she was like real grandmotherly cook. It wasn’t like Gordon Ramsay or nothing. She was just in her little old kitchen. I looked and she had 4 million views on this seven-minute video on how to cook this fish. She made seasoning in it. It was real, there’s parsley, and salt, and pepper and all of that stuff. I was like, “Man, if grandmama had told me where I could buy some of that, I would probably have ordered it from her at the end of that video.” I wonder if Layne could get into creating content showing the creation of these paintings, these fine art, and go through, not necessarily teaching everything but just going through the process, letting people who appreciate fine art watch an artist at work. Imagine if someone who had commissioned art from Picasso could go into his studio and watch him paint it, how much more valuable would that be to them? How much more would they want that thing? I wonder if creating content in a vlog type format on YouTube of showing him create these things, somewhat instructional but not DIY, not teaching people how to paint, but it is more like a fly-on-the-wall in the artist studio kind of thing, just like we do when we watch Gordon Ramsay or some famous cook, I wonder if that kind of content creation could help you. I bet some stuff like that would have a good chance of virality to it, like going viral. Jocelyn: What are you guys doing right now for content? Sondra: On the website, it is just the paintings. There is no blog, there is no anything. Primarily, where we spend 90% of our effort is really on Instagram because Instagram is really exploding for artists right now. It is funny that you say that, Shane, because these videos on Instagram have gone crazy over the last three months. If you look at the first one, it kind of went viral, it’s got 93,000 views on it. Shane: Yeah, that’s it. That is what I’m saying. You’ve got to do stuff that is like that because what is the goal? The goal is for the right person to see that painting. People are not going to share a product. They are not going to share, “Here, here is my painting. It is $200.” They are not going to do that. But if 90,000 people see that video, and it is clear how they can get from the video to the product page, there is one person in that 90,000 that probably appreciates it enough to go pay for it. You’ve got to talk to the right people. Why would somebody buy this painting? They may want it, but it is because they saw it, and the desire was seeded into their heart to go buy it. You’ve got to be able to get it out there. Sondra: So YouTube is, you think, the best platform to do that versus hosting them on these websites? Shane: Here’s what has to happen about content and this is something more advanced that people have got to get into, and anyone listening to the podcast has to hear this. There are only three real types of content: there is video, and then there is print which we kind of wrap up into text and pictures, and then there is audio. It doesn’t matter what platform you are on. If you are on SoundCloud, it’s audio. If you are on YouTube, it is video. If you are doing a blog, it is pictures and text. You have to make this video and put it everywhere. You’re going to post it on your Facebook page. You are going to put it on YouTube. You are going to upload it into Instagram. You’re going to share it on Twitter. You are going to put it everywhere. But you only made one piece of content, so you’ve given yourself the best possible chance for the right person to see it and come buy it. I think video is where you start. YouTube is a channel for your video. Instagram is a channel for your video. Don’t get all caught up with that. Jocelyn: With all that being said, don’t think that you have to go and do all this tomorrow. This is going to be a process. This is going to take you a while to be able to explode all this content out. What you end up having to do is you need to create procedures where you can create one piece of content, and then you go through certain steps to get it on multiple platforms. Shane: Also, you said something very interesting, I hear a lot of times people come to us, and they’re like, “Instagram is blowing up for artists.” Well a year ago, all the gurus were saying that Snapchat was the next coming of everything in marketing, and now none of them all of a sudden have their Snapchat pictures and their photos. Everything is a fad. Everything is a trend. What you do is you automate systems to upload everything everywhere, and then whatever that is the trend of the time, your content is already there. Shane: Yeah, you want to be prepared for the fad to change. What if Facebook changes something, and all of a sudden, artists can’t do that anymore? Sondra: Yeah, Facebook is really becoming very difficult to build any kind of following on Facebook, unless you are doing ads, whereas you can still do that and Instagram, eventually. Shane: Instagram will follow suit. That’s right. Once they get it to critical mass, they will make their money, make no mistake. Facebook owns Instagram. Jocelyn: That’s fine, but for now, let’s to take advantage what it could do. Shane: The good traffic, that is right. Sondra: And it has been crazy in the last 90 days. His following on Instagram went from 800 to just about 9,000, we will get 10,000 by the end of this month. Shane: I was talking to a guy the other day, and he said something amazing to me that I’ve heard before but it never really clicked. Everybody gets so caught up in content creation but what you should really do is a document, not create. You should document everything you are doing. That is how Flipped Lifestyle works, that is how are teaching websites work. We were just documenting the lesson plans that we were using. We were documenting all the things we did to build, grow, quit our jobs, and build a life that we wanted. We just documented all that so we could pass it on to somebody else. That is really what he is doing here. He needs to start documenting everything that he does in the studio. Even if it is just set a camera up across the room and turn on Facebook live. Don’t even talk to the camera. Sondra: We haven’t done the Lives yet, but that’s the next thing on my list because his Instagram account has really become his daily blog. He’s been creating art since he was a teenager. We’ve never had this kind of documentation of everything that he does until recently because he keeps everything he’s doing, I’m filming. So we’ve got an incredible reservoir of content right now. Shane: That’s amazing. And he’s already doing the work, so you might as well document it and use the work to market the product, and you’ll be fine. And a million people will see it, somebody is going to buy the painting. Sondra: Another thing I am seeing, a couple of different artists who– I’m sure there is more– they are actually creating a community where you have to subscribe to get the longer version of all this stuff, and you can actually watch them. And he will do one minute, and then all of a sudden he will stop, and go, “Now let me go show you the rest of the painting.” And he will time-lapse it. At the end, he will be, “Here is the finished product.” Then at the end he says, “If you want to see the entire video of how I painted this, go to my membership area which is $39 a month, you can join, and boom,” he’s been doing that to drive people to the site. He films the whole video in real time, talks about it, does whatever he does, and just sell it and whatever. But then the real video lives inside his paid content with the time lapse he uses for marketing. Those videos have blown up on his page. He has been doing those every month. Every time a new movie comes out, he will draw a different comic book hero. He does it like that. That is a great strategy to do, too. It is a way to give away the content, but not to give away all the content and get people some kind into some subscription. Jocelyn: Alright, Sondra, let us move on your next question. Sondra: Well, I tried Facebook ads last year and didn’t have a lot of success with them. I haven’t really gone back to that, but I think that is another direction that I need to go because the audience for our age-wise is probably more on Facebook than it is on Instagram. I literally struggled with ideas for opt ins to get people to really drop by and subscribe. Any ideas, suggestions for that? Shane: I wonder if you could use the art in lower res form. Maybe someone loves the art, or something, but you should give away like a background. You to take the art and say, maybe download a wallpaper for their phone or maybe they would look at it and get it, they would want to buy the actual print for their house. Jocelyn: I wonder if you should just put money into Instagram advertising which is now owned by Facebook. I think that there is a way that you can just advertise on Instagram. Shane: You might not need an opt in. Shane: This brings up an interesting point that Jocelyn talking about here is some niche markets don’t need tripwires and opt ins. If you are a fine art person, and you’re looking for a painting that goes over your couch, you’re looking to buy it. You don’t need to opt in. You are going to see the painting in video, you’re going to feel the emotional connection to it, maybe you just don’t even worry about that. Just take people to purchase. Jocelyn: What is your current opt in bonus? Sondra: Right now I have had free shipping for the first 30 days and the other thing that I started doing with Instagram was wallpapers, like you said. Jocelyn: Okay, so you give people a wallpaper. I think that is good. I think another thing, just kind of thinking out loud here– if I think about my favorite artist and not just art, like paintings, drawings, and things like that, but if you think of all artists across the board, if you are interested in a particular person, maybe you might be interested in their back catalog, or things about them, other things they created. Jocelyn: — and more information about them. Why were they created. What was the inspiration behind it? Things like that. I think things like that would really be of interest to this audience, and I may be wrong about that, but I would look around at some other places. Just maybe not just people who commission paintings and things like that, but maybe like music artists, film artists, things like that and see what are they giving away. Shane: Opt in bonuses: people get really confused with this whole process. That is why people had a hard time to adapting to their niche. You hear all the gurus well they giving you how to do this and how to do that, it doesn’t make sense in other niches to do it the way they do it. With yours, the object of the opt in is to get people more interested in considering the product. It is to move them towards buying the product. The product is your art, but it is really art from Layne. That is the product. If everything in your content stream from, “Here is my video of me painting this awesome painting,” “Here is a book of all my other paintings.” Heck, sell the coffee table book. We have coffee table books right now of art. People buy those things. That could be a kind of tripwire is, for the price of turning it, sell that and get people into the art. When they get to the point where they’re going to need that painting… like we just bought — how much art did we just buy for our house? Shane: A lot. We just paid thousands of dollars. Jocelyn: They weren’t commission paintings. Shane: We didn’t commission paintings. We got pictures of boat stuff in our living room. Jocelyn: But I am thinking maybe, we need one. Shane: We need one. I may have to talk to Layne after we get off here, actually. Jocelyn: We would have a piece of fine art. Shane: We need to have a piece of fine art in our loft. Jocelyn: I think we need that. Shane: We need to bring fine art to Southeast Kentucky, that’s what needs to happen. Sondra: There you go. A portrait of the family. Shane: A portrait of the family in front of the lake back here. That is exactly what you need to do is keep moving them toward his art so that is what you’ve got to go away, is old things that is not in print anymore, but they can still live on in these PDFs and his e-books, or fine arts books, or whatever. With your house publishing background, you might be able to get something put together where you could do for the cost of shipping kind of deal book to get leads. If you can get a book in someone’s hand, and they order a $500 painting, that is great. Sondra: Actually, you’re right. It is probably cheaper than running the ads for the same thing. Jocelyn: I would just look around and see what other people are doing. Other people are probably doing this, but I’m just thinking for me personally, like if I am really interested in something, and it is a real big ticket item, I think that would be a lot of interest. Sondra: His paintings are in the thousands right now. Shane: That is what I’m saying. Shane: Yeah, if you’ve got a $3000 painting and you do one of those a month, and then you’ve got all these other paintings that you do a print run of maybe you do 20, do waiting lists for paintings. I’m going to do a painting about this. Here is my concept. You’ve got 30 people that are on the waiting list, then you sell the highest bidder the original, and you do a limited run of 10 more, make it rare, you are selling 10 paintings for $1000 a piece, and that is ridiculous. Jocelyn: I think it would also be a good idea, maybe you have insiders. Basically, they give you their email address, they sign up to get information about what the next painting is. Shane: Oh, that is brilliant. We just sold one of our websites, that is how it worked with the broker that we used. He had a list of his premium buyers that got to buy into this premium buying group. Shane: And people who are buying fine art have money. Some people would pay to be a part of that annually. If you pay $500 a year, you get to be in the insider group, and you get to know when paintings are coming first. That’s another way to monetize your content structure. Jocelyn: This has been a fascinating conversation today, even though I don’t know a lot about fine art. I just think that this model really lends itself well to the online market. I’m really excited to see what you guys are going to come up with to do next. I feel like we threw a lot of stuff out there at you, but we always like to end our calls with an action step. We want to know, based on what we talked about here today, what is one thing that you plan to take action on in the next day or so based on this conversation? Sondra: I am going to set up some procedures so that we can start sharing the content that we are creating right now for Instagram to start sharing longer content everywhere so that is more widely available across all the different platforms. Shane: Alright, that is an awesome first step. I actually have a list of how we do this for a lot of different content streams and if you will make a forum post, I will get in there and be happy to share that with you so that you can at least see how we do it, and while you may not want to go to that level yet, it will give you a good baseline of how you can syndicate that content out there. Okay? Shane: Sondra, that was a great conversation, and so thankful that you came onto the show today and shared your niche. I know this is going to impact a lot of people, and we can’t wait to see what happened next for you and Layne. Sondra: Great, thank you both. I really enjoyed it. Shane: What a great call with one of our Flip Your Life community members. We would love to have you in our Flip Your Life community as well. If you would like to become a member of our Flip Your Life community, head over to flippedlifestyle.com/flipyourlife, and we can help you with your online business, too. Jocelyn: Alright, next we are going to move into the Can’t Miss Moment segment of our show, and these are moments that we were able to experience that we might have missed if we were working at 9-to-5 jobs, still. Shane: Alright, guys, our Can’t Miss Moment for this week is a Wednesday afternoon walk with the kids and the dogs. The other day, it was a Wednesday, it was around 11 o’clock and I was kind of getting burned out, and I was trying to figure some stuff out, the kids were here. I was like, “You know what? I’m not going to work the rest of the day.” I just shut everything down, got the kids, got the dogs, threw them in the truck — I didn’t throw them in the truck, like the back of the pickup for anything. I actually got in the truck. 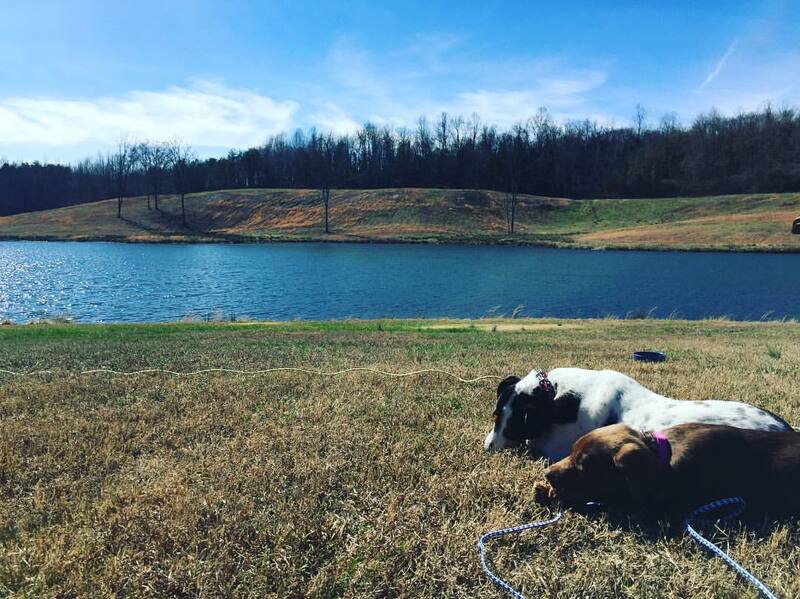 We drove up to this little hunting club that we are a member of, and we drove back on the trails and we got the dogs out and we went for just a couple hour walk, let them run, let them play. We explored and we just had an amazing time out in the woods. As we were walking, and I was taking pictures of the kids, I just looked up at the sky, the sun was out. I was like, “Man, there is no way that I would have been out doing this if I had a normal 9-to-5 job. It just made me really appreciate the time freedom that we have, to be able to not only spend so much time with the kids, but to choose when we spend time with the kids. Jocelyn: And we do this from time to time. Sometimes, we just get the notion, and we decide, “Hey, we are going to just take a little break from work, go out and do something else. Whether to take a walk, maybe we go to the gym, maybe we go out to eat, we do that a lot. Shane: Which is why we need to go walk more. Jocelyn: Yeah. That is just the cool thing about what we do. I love being able to just take breaks whenever we want to. Shane: We love to share our Can’t Miss Moment with you each week on the Flipped Lifestyle podcast, but there is one thing we love to share even more and that is a success story from our Flip Your Life community. Before we go we wanted to share an actual success story from the Success Forums in the Flip Your Life membership. Today’s success story comes from Paul. Paul is a fellow Kentuckian with me and Jocelyn, so we love Paul. And Paul writes in our success forums inside the Flip Your Life community, “12 Members to 20.” So, this is about growing his community. Shane: And that is just an awesome post. That post is one of those posts that sends chills up my spine and gets me really, really, super excited because it goes back to those things that we always say, like, what if you could get 10 people to pay you $50 a month? That is $500 a month. Jocelyn: And it sounds so far-fetched to you when you first start out. But then he had 12. Now he has 20. What’s next? Shane: And now his goals 50. You start thinking of yourself, how has $500 a month changed my life? Well, it’s like he says in his post. It was pizza money, but now it’s paying for his health insurance. He’s making enough money online to take care of a real need in his house. What if you could pay for your health insurance and then your mortgage? And then your groceries, and then your car, and all those things just on your own with your own online business? That is where Paul is now, and he is starting to see that it is real. He is starting to see that these things can happen. You can go get fifty people to give you $50 a month. You can go get 100 people to give you $50 a month, $5000 a month, $60,000 a year. These things are possible and Paul is taking action and making it happen. I know Paul’s story is amazing because one of the things that we really do inside the Flip Your Life community is help you develop your idea, help you figure out where your expert enough to serve people, help you choose a niche and then go find those customers. We went through that process with Paul and he took action and he is making it happen. Paul’s another guy that shows up. He is on member calls, he is taking actions in the forums, he is encouraging other people, I always see Paul chiming in and helping other people, not just in there consuming. He is contributing as well. That is why Paul is successful, that is why he is going to be more successful. If you would just get inside the community with us, that’s why you would be successful, too. Jocelyn: We would love to help you write the success story for your online business. At the end of today’s show, head over to flippedlifestyle.com/flipyourlife where you could learn more about building and growing a successful online business with the help of our Flip Your Life community. Shane: Before we sign off, we like to close of every show with a verse from the Bible. That’s all the time we have for this week. As always, guys, thanks for listening to the Flipped Lifestyle podcast, and until next time, get out there, take action, do whatever it takes to flip your life. We will see you then.